Subscribe to get deals from hundreds of merchants including the best of Sephora HK! Sephora offers 10% off first purchase made. Valid only once. Enter the promo code at checkout to get the offer. T&C apply. Please always check with the merchant on the validity of the promotion before purchase. Beauty Pass Exclusive: Receive a Jill Stuart Exclusive Makeup Set with a minimum spend of $280 on Jill Stuart products by using the code. Offer valid from 18 April (10:00 am HKT) to 11 May 2019 (11:59 pm HKT), while stocks last. Enter the promo code at the checkout to get the offer. Please always check with the merchant on the validity of the promotion before purchase. Receive RE-DEW Set & Refresh Spray (15ml) from Beauty Blender with a min. spend of $350 on Beauty Blender products. Offer valid from 28 March (10:00 am HKT) to 28 April 2019 (11:59 pm HKT), while stocks last. Enter the promo code at the checkout to get the deal. Please always check with the merchant on the validity of the promotion before purchase. Receive Beautyblender® Crystal Nest + Blendercleanser® Solid® Gold Set from Beauty Blender with a minimum spend of $520 on Beauty Blender products. Offer valid from 28 March (10:00 am HKT) to 28 April 2019 (11:59 pm HKT), while stocks last. Enter the promo code at the checkout to get the offer. Please always check with the merchant on the validity of the promotion before purchase. Receive an exclusive sampler kit with min. spend of $220 on Frank Body products. Offer valid from 22 March (12:00 pm HKT) to 1 May 2019 (11:59 pm HKT), while stocks last. Enter the promo code at the checkout to get the offer. Please always check with the merchant on the validity of the promotion before purchase. Beauty Pass Exclusive. Receive an exclusive Sephora Rouge Lipstick Case when you purchase any 2 Sephora Rouge Lipsticks. Beauty Pass Exclusive. Receive an exclusive Sephora Rouge Lipstick Case when you purchase any 2 Sephora Rouge Lipsticks. Offer valid from 28 March (10:00 am HKT) to 28 April 2019 (11:59 pm HKT), while stocks last. Get the deal. Please always check with the merchant on the validity of the promotion before purchase. For all orders over HKD350 or above, Sephora HK offers FREE Shipping for the purchase. Please check the merchant's website for details. T&C apply. Please always check with the merchant on the validity of the promotion before purchase. Sephora offers 3 samples at checkout in APP & Desktop for any purchase with no min spend. The offer is valid until 31 March 2019. Get the deal. Please always check with the merchant on the validity of the promotion before purchase. Sephora offers up to 15% off on everything. The offer is valid until 25 November 2018. Get the deal. Please always check with the merchant on the validity of the promotion before purchase. Sephora offers 15% off on the beauty pass exclusive sale. The offer is valid until 31 October 2018. Get the deal. Please always check with the merchant on the validity of the promotion before purchase. Sephora offers a deluxe sample of Cream Lip Stain and a $65 voucher with every purchase of Sephora Collection. The offer is valid until 21 October 2018. Get the deal. Please always check with the merchant on the validity of the promotion before purchase. Sephora offers 20% off when you shop with your Esephora cards on the coming sales. The offer is valid until 20 October 2018. get the deal. Please always check with the merchant on the validity of the promotion before purchase. SHOP THE LATEST BEAUTY TRENDS AT SEPHORA HK (PLUS SAVE WITH SEPHORA ONLINE PROMOTIONS & COUPONS)! Beauty junkies gather! Do you know what is the latest makeup trend now? If you have been hitting the streets along Causeway Bay and Mongkok, you would have noticed natural, healthy blushes swiped across faces and others attempting the two-tone lip colour. It’s the invasion of the Korean beauty craze! Get the look by visiting Sephora HK online. Sephora Online also brings you many Sephora discount codes and exclusive Sephora HK credit card promotions for some savings. Shopping at Sephora is a must-do for beauty addicts all over the world. With its presence in more than 29 countries worldwide in approximately 1,900 stores, the LVMH Moët Hennessy Louis Vuitton-owned business is the world’s leading luxury good groups. At Sephora HK, you can shop for all kinds of beauty product categories, including makeup, skincare, hair care, body products and fragrances. Favourite, classic beauty brands like Chloe, Dior, 3CE and GIVENCHY can also be found in Sephora. What’s even better? Some brands are exclusively sold only on SEPHORA ONLINE! These brands include ZOEVA, Too Faced, Kat Von D Beauty and Fenty Beauty; a makeup brand recently opened by Rihanna. If you need more reason to shop online at Sephora HK (seriously! ), here are some perks that are bound to win your heart over. We are well-aware that the queues at major drugstores and cosmetic brands can be painfully long during Hong Kong sale periods. Why should you waste time being stuck in a queue when the time could be used to hunt down more Sephora products? Lucky for us, Sephora HK is available online 24/7. Add all the items on your personal wishlist into your cart while you continue browsing endlessly. Can you imagine carrying big bags of your shopping hauls all the way home after a long day? You don’t have to trouble yourself at all because Sephora HK offers free shipping right to your doorstep when you spend above HKD 350! Free shipping with a minimum spend of HKD 350 is valid for all residential and home addresses in Hong Kong. If you spend below HKD 350 though, a shipping fee of HKD 75 applies. You can look forward to receiving your parcel in 5-10 working days after payment. Shop for your beauty needs and wants on Sephora HK online while you get to enjoy discounts using promo codes on this page! These can be found here for your usage before you make payment to enjoy savings on your makeup haul. 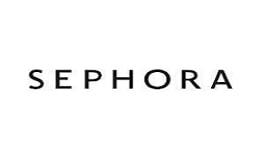 Sephora HK also has exclusive offers giving Sephora fans perks such as free shipping! These offers are not to be missed to maximise your savings whenever you shop. Shoppers can also redeem exclusive offers and free gifts when they shop with featured brands and apply the promo codes given. If you’re lucky, you might spot the giveaways that Sephora HK holds on Sephora HK’s Facebook and Instagram pages from time to time. These irresistible giveaway items are amazing! Ever felt afraid to try a new product because you haven’t used it? Fret not, because Sephora HK features star products that have been highly-raved by others. Every product has a review section that allows the customer to write in. Products are rated in terms of stars and more information about the product can be provided by the user too. These reviews can be useful in helping you decide whether or not you might like it. If you haven’t signed up for Sephora’s beauty pass, what are you waiting for? Sign up quickly as Sephora HK allows you to earn points, redeem rewards, receive member exclusive promotions, welcome and birthday surprises and informs you of the latest beauty news. The program is available online and is free to join! You can accumulate points that will be earned during every successful transaction. With so many things to look at from fragrances to hair care to makeup, your cart is guaranteed to be brimming with hot stuff! Don’t worry about spending a bomb though, because every new online customer gets to enjoy 10% off the bill on their first purchase using a promo code on Sephora! If you haven’t tried shopping at Sephora before, you really should. For your information, every shopper gets a free sample with every purchase too! With the use of Sephora coupon codes, Sephora beauty pass members can redeem gifts exclusive to members! You can find these latest Sephora HK online coupon codes right here on Cardable HK! The more points you have, the more Rewards you can redeem! Earn your precious Beauty Pass points in every successful transaction. You can also earn points 50 points the first time you update your beauty profile, and every time you write a product review on Sephora HK. Rewards can be redeemed using points earned from the Rewards Boutique or when you check out. Once you log into your Beauty Pass account online, you can add a Reward to your basket from the Rewards Boutique. You can also select from the Rewards available during the checkout process. All Rewards can be redeemed only upon purchase of merchandise. There are three distinct tiers of Beauty Pass memberships - Gold, Black and White. The more points you earn, the higher tier you will be placed in. Sephora has exclusive private sales for members, where they offer major discounts for the different card members of the Beauty Pass. Gold members enjoy better perks such as early access to the private sale before everyone else! This is definitely one of the mega sales that Sephora Beauty Pass members cannot miss, so you’d better add all the Korean beauty products you have been eyeing to the cart now. So... there you go! Are these enough reasons for you to start shopping at Sephora HK Online yet? Don’t forget to apply the Sephora HK promo codes found on this page to save some money on your purchases.